How did get from Kuala Lumpur to Taman Negara (National Park) on your own without going on a package. - Walk about 5 minutes to Pekeliling station. Alternatively, in case you miss the boat (which is the most scenic way to get to Taman Negara), you could also take a bus from Jerantut to Taman Negara (Kuala Tahan). 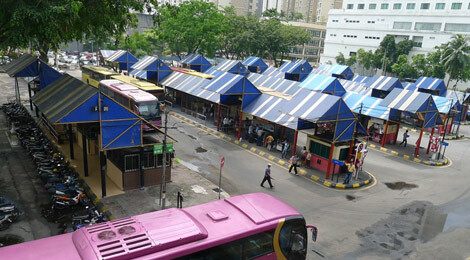 The bus leaves from the Jerantut bus station at 5.30am, 1.15pm and 5.30pm (price: RM6).